U.S. consumers have been bombarded with reports of contaminated food in recent years, from salmonella in peanut butter and spinach to E. coli in cookie dough and ground beef. Individually, the outbreaks are alarming, but collectively, they represent what the consumers' group Center for Science in the Public Interest calls "a perfect storm of unsafe food." A new CSPI report finds that the top 10 riskiest foods regulated by the federal Food and Drug Administration accounted for nearly 40 percent of all foodborne outbreaks in the U.S. between 1990 and 2006, spawning nearly 50,000 illnesses with symptoms ranging from stomach cramps and diarrhea to kidney failure and death. Using data from the Centers for Disease Control and Prevention, researchers tracked more than 1,500 separate, definable outbreaks involving not only high-risk foods like meat and dairy, but staples of a healthy diet, such as fruits and vegetables. These outbreaks are only the tip of the iceberg of foodborne illness. For every case of salmonella poisoning reported, for instance, the CDC estimates that another 38 cases go unreported. 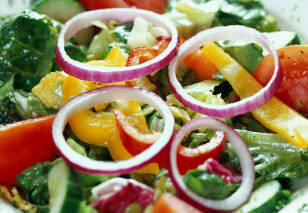 Can salad really be bad for you? Although considered a healthy food, nutritious greens can also be coated in disease-causing germs. The Center for Science in the Public Interest identified 363 separate outbreaks linked to leafy greens, making them the No. 1 entry on the top 10 list of riskiest FDA-regulated foods. Salads and other food items containing leafy greens — iceberg lettuce, romaine lettuce, leaf lettuce, butter lettuce, baby leaf lettuce, escarole, endive, spring mix, spinach, cabbage, kale, arugula or chard — accounted for 24 percent of the outbreaks, which sickened at least 13,568 people. Another pathogen appearing frequently in leafy greens is norovirus, which was linked to 64 percent of the outbreaks in leafy greens. Salmonella was responsible for another 10 percent. Contamination may be present from production and processing or through improper handling, such as inadequate handwashing. 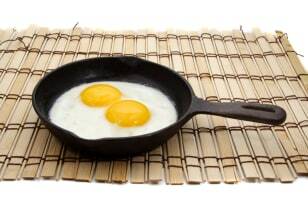 Eggs, a popular high-protein breakfast food, have been linked to 352 outbreaks. The majority of illnesses from eggs are associated with salmonella, which sickened 11,163 people from 1990 to 2006. Salmonella lives in the intestinal tracts of animals and birds and is transmitted to humans when animal feces contaminate a food item of animal origin (such as eggs). Regulations implemented in the 1970s have reduced salmonellosis infections. However, salmonella enteritidis, the most prevalent type of salmonella in eggs today, infects the ovaries of otherwise healthy hens and contaminates the eggs before the shells are formed. New regulations issued in July 2009 require the adoption of controls aimed at minimizing salmonella enteriditis in egg production. While proper cooking should destroy most pathogens, serving eggs raw – or "runny" – or leaving egg dishes at improper holding temperatures (such as on a breakfast buffet) can allow the salmonella to multiply. Many consumers are familiar with warnings about tuna and methylmercury, but the fish has also been implicated in 268 outbreaks and 2,341 reported cases of foodborne illness. 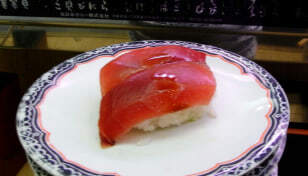 Tuna has been linked to scombroid, the illness caused by scombrotoxin. Fresh fish decay quickly after being caught and, if stored improperly, begin to release natural toxins that are dangerous for humans. Adequate refrigeration and handling can slow this spoilage, but the toxin cannot be destroyed by cooking. Symptoms of scombroid poisoning can include skin flushing, headaches, abdominal cramps, nausea, diarrhea, palpitations and loss of vision. In addition to scombrotoxin, norovirus and salmonella can also be related to tuna consumption. More than 65 percent of outbreaks linked to tuna occurred in restaurants. Contaminated oysters can ruin more than just a gourmet dinner. Oysters have been linked to 132 outbreaks, with 3,409 reported cases of illness. Not surprisingly, the majority of outbreaks from oysters occurred in restaurants. 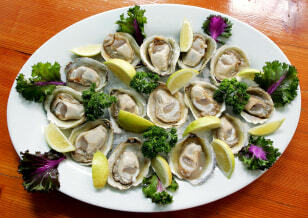 Illnesses from oysters occur primarily from two sources: norovirus and vibrio. Although norovirus in other foods is usually associated with improper handling, oysters actually can be harvested from waters contaminated with norovirus. When served raw or undercooked, those oysters can cause gastroenteritis, an inflammation of the stomach and small or large intestines. Vibrio, a type of bacterium in the same family as cholera, can cause a severe illness, particularly in those with a compromised immune system, characterized by fever and chills, septic shock and blistering skin lesions and can even be fatal. Potatoes, often in the form of potato salad, were linked to 108 outbreaks, with 3,659 consumers reported to have been sickened by spuds since 1990. Salmonella is the most common pathogen, associated with nearly 30 percent of outbreaks, followed by E. coli at 6 percent. The presence of salmonella and E. coli in potato dishes could indicate cross-contamination from raw or cooked ingredients or possibly from raw meat or poultry during handling and preparation. 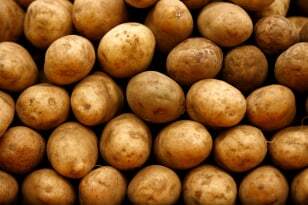 Shigella and listeria also appear in outbreaks associated with potatoes. More than 40 percent of potato outbreaks were linked to foods prepared in restaurants and food establishments (including grocery stores and delis). Cheese has been linked to 83 outbreaks involving 2,761 reported cases of illness since 1990, with salmonella the most common hazard. Cheese can become contaminated with pathogens during production or processing. 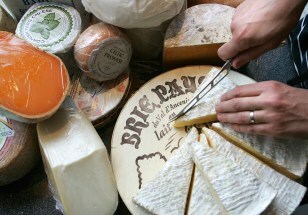 Most cheeses are now made with pasteurized milk, lowering the risk of contamination. In August, California officials warned consumers about eating Latin American-style cheeses such as queso fresco or queso Oaxaca, which may be made by unlicensed manufacturers using unpasteurized milk that could contain harmful bacteria. Pregnant women should be particularly cautious about consumption of soft cheeses such as feta, brie, camembert, blue-veined and Mexican-style cheese, which can carry listeria. Listeriosis infection can lead to miscarriage. For the elderly, listeria can cause severe illnesses, with high rates of hospitalization and death. Whether served in a cone or in a cup, America's favorite frozen treat occasionally can carry a load of dangerous bacteria. Ice cream has been linked to 74 outbreaks involving 2,594 reported cases of illness from pathogens such as salmonella and staphylcoccus since 1990. 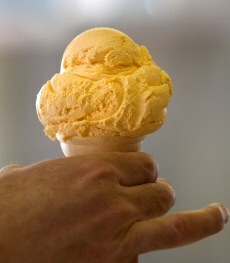 Soft ice cream can be particularly hazardous to pregnant women. Listeria can survive on metal surfaces — such as the interior of soft ice cream machines — and may contaminate batch after batch of products. Although tomatoes were wrongly implicated in a sweeping 2008 outbreak later linked to fresh jalapeno and Serrano peppers, they have caused at least 31 identified outbreaks and sickened 3,292 since 1990. The most common hazard associated with tomatoes is salmonella, which accounted for more than half of the reported outbreaks. 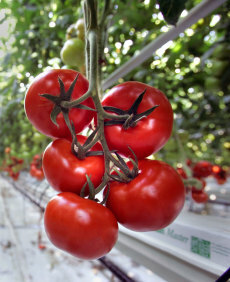 Salmonella can enter tomato plants through the roots or flowers and can enter the tomato fruit through small cracks in the skin, the stem scar or the plant itself. Restaurants were responsible for 70 percent of all illnesses associated with tomatoes. Sprouts are a popular way to add crunch to salads and in Asian dishes. As the popularity of sprouts increases, however, so too does the potential for foodborne illnesses. Sprouts have been implicated in 31 outbreaks involving 2,022 reported cases of illness since 1990. The CDC and the FDA recommended in 1999 that people at high risk for complications from salmonella and E. coli — such as the elderly, young children, and those with compromised immune systems — not eat raw sprouts. 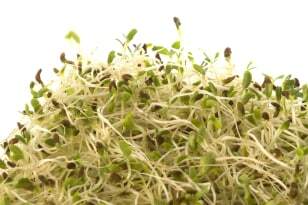 The most likely source of sprout contamination is the seeds that are used to grow the sprouts. Seeds may become contaminated in the field or during storage, and the warm and humid conditions required to grow sprouts are ideal for the rapid growth of bacteria. 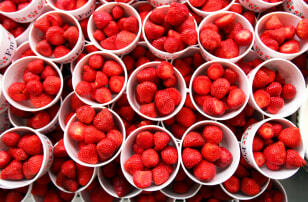 Strawberries, raspberries, blackberries and other berry products have caused 25 outbreaks and sickened 3,397 since 1990. In 1997, more than 2.6 million pounds of contaminated strawberries were recalled after thousands of students across several states reported illnesses from eating frozen strawberries in their school lunches. Hepatitis A was the culprit, and contamination may have occurred through an infected farm worker, according to the CSPI report. That same year, raspberries imported from Guatemala and Chile were implicated in a cyclospora outbreak across five states. The resulting infection is a parasitic illness of the intestines, which can cause severe diarrhea, dehydration and stomach cramps and requires treatment with antibiotics.